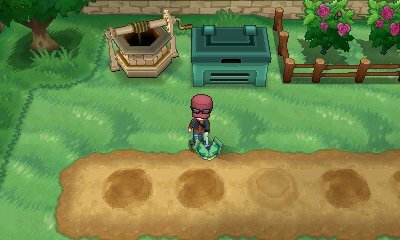 Having disappeared from Black & White ouside of the Dream World, Pokémon X & Y bring the concept of berry growing back to the fold. When you reach Route 7, if you go to the south exit, you will encounter a man and his daughter who have opened this field. They gladly let you use it. There are six rows of plots, each being able to grow 6 trees. 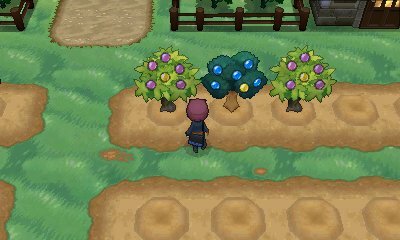 You can get berries to grow here in various trees dotted around the Kalos region. Growing berries works the same as before. You can place mulch on the ground, then place a berry. Once you get the Sprinklotad, you'll be able to water the areas too, to keep the soil moist. There are a few changes to growing berries, however. First off, on the odd occassion, weeds will grow around the berries. This will hinder the growth of the berries and result in a less bountiful crop. In addition to that, various Bug-type Pokémon such as Spewpa will end up attacking your plants, and you need to battle them in order to protect your berries. Mulch is given added importance within these Berry Fields. 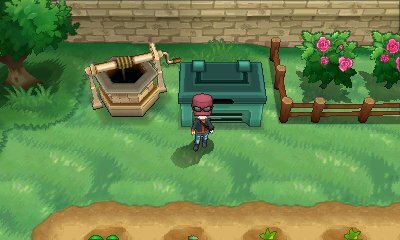 In the fields, there are two composters. If you go up to them and feed them 3 berries, you will receive some Mulch. X & Y introduce several new mulch items that can aid in the growth of berries. Amaze Mulch Mulch to be used in a Berry field. An amazing Mulch with the effects of Rich, Surprise and Boost Mulch Kee Berry or Maranga Berry + two others. Boost Mulch Mulch to be used in a Berry Field. It increases the Berry harvest that can be grown by diligent watering. Two Berries of the same colour + another Berry. Int his game you have the chance of getting Mutated Berries. Here, if you have different berries grow next to eachoth, there is a chance that the berries will cross-pollunate and, within the yeild of the Berries, you will find one or more of another berry. This chance is increased via the use of Surprise Mulch. We'll be providing details on what berries result in what berries as time passes. Below is a list of all the berries found within the game.